Marvel Preview: West Coast Avengers #10 – AiPT! HAWKEYE and HAWKEYE lead the fight to save AMERICA CHAVEZ from a cult that believes she’s their prophesized chosen one who will lead them into the light – and also into victory – as they attempt a takeover of Los Angeles. But just as things look darkest, the team is joined by a mysterious and powerful new ally. 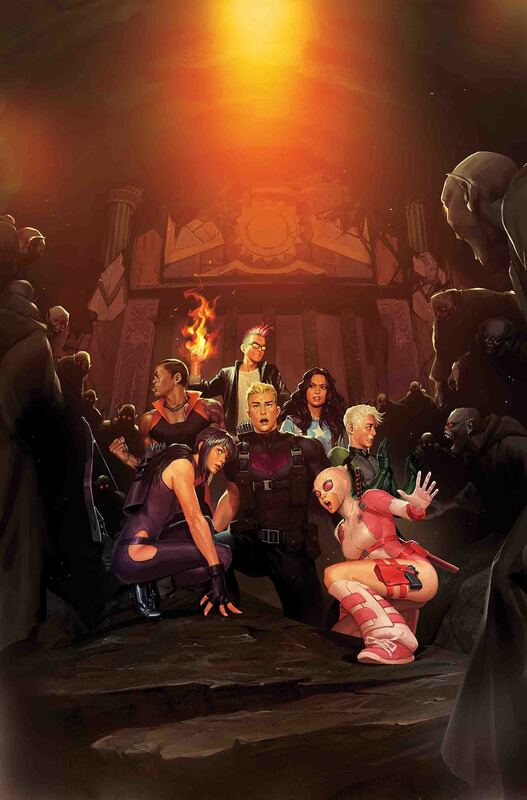 Amid flying arrows and punching fists, relationships are both blossoming and being torn apart – what does it all mean for the future of the West Coast Avengers? !